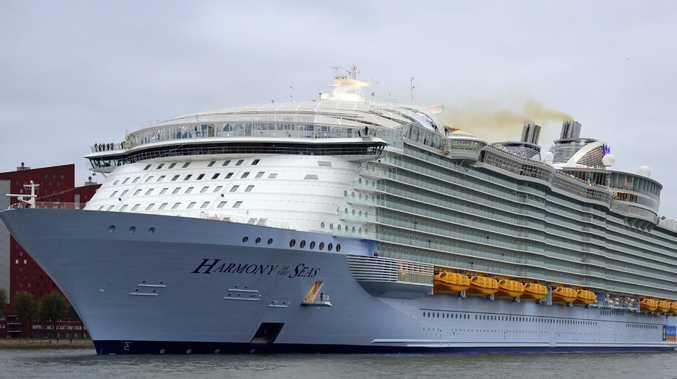 The 16-year-old boy fell to his death while trying to climb into his family's stateroom on the biggest cruise ship in the world, Harmony of the Seas (above). A 16-year-old boy has fallen to his death from a luxury cruise ship while trying to climb from an eighth-floor balcony because he didn't have his room card, the South Florida Sun Sentinel reported. Laurent Mercer, from the French-speaking Wallis and Futuna islands northeast of Fiji, fell as he was trying to access his family's stateroom on the Royal Caribbean ship, Harmony of the Seas. At the time, the ship was docked at the port of Labadee in Haiti on January 11 in the midst of a seven-day Caribbean cruise being taken by the boy's family. 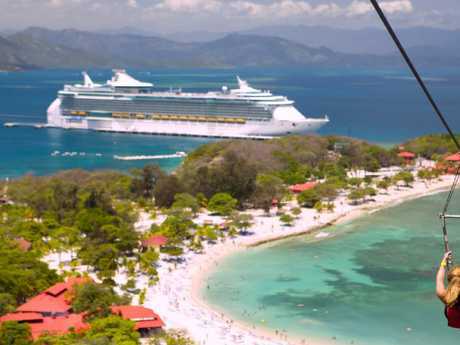 Royal Caribbean in port at Labadee in Haiti, where the boy fell to his death on January 11. The ship's medical team attempted CPR, but the boy was pronounced dead from major head trauma at 11:42am. On a Facebook thread, a poster named Jaclyn Syroney wrote: "I was on the cruise and saw him hit the concrete dock. "It was around 11:30am. The workers were amazingly fast acting and tried to keep him alive, but I'm pretty sure he was dead on impact. "There were also fast acting of removing his body and covering up the area so people wouldn't see it. "Royal Caribbean handled this situation with utmost respect for the passenger and the family." According to Royal Caribbean's website, Harmony of the Seas is one of the largest ships in the world, with a capacity of 5,479 guests and 2,193 crew members.